Home > Staff > Wayne Spencer, Ph.D.
Dr. Spencer is a wildlife conservation biologist with over 30 years of professional experience in biological research and conservation planning. He specializes in the practical application of ecological and conservation science to resources management, design of nature reserves, and recovery of endangered species. 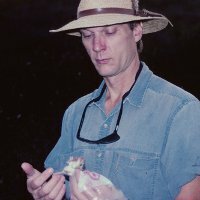 He has conducted numerous field studies on rare and sensitive mammals, with particular focus on forest carnivores (e.g., martens and fishers) and endangered rodents (e.g., Pacific pocket mouse and Stephens’ kangaroo rat). He is currently serving as Principle Investigator for California’s Mammal Species of Special Concern project. Dr. Spencer also collaborates with other researchers and planners to develop and apply methods for identifying and conserving wildlife movement corridors and maintaining ecological connectivity in the face of climate change and habitat loss and fragmentation. He has provided scientific guidance for several large-scale habitat connectivity plans, including the South Coast Missing Linkages Project and the California Essential Habitat Connectivity Project. In the past, Dr. Spencer has prepared habitat conservation plans (HCPs), habitat management plans (HMPs), and natural community conservation plans (NCCPs) for numerous sensitive species in California, including the first NCCP plan ever permitted (Poway Subarea NCCP/HCP). Because he has both research and real-world conservation planning experience, Dr. Spencer is often asked to lead science advisory processes to provide guidance for regional conservation and recovery plans, such as the California Desert Renewable Energy Conservation Plan and the Sacramento-San Joaquin Bay Delta Conservation Plan. Help or Hindrance for Species Conservation?